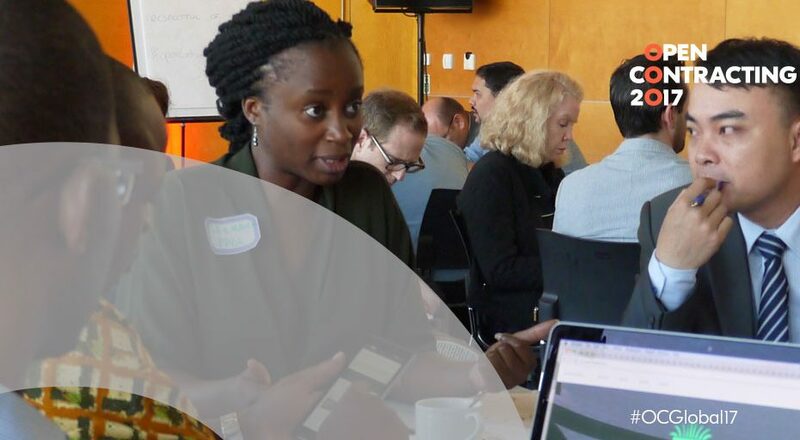 This is an entry in our blog series exploring transparency, tools, and transformation in open contracting ahead of the global meeting Open Contracting 2017. Governments spend billions of dollars each year buying goods and services from private providers for the public benefit. Unfortunately, opaque public contracting often facilitate diversion of significant amounts of these resources into private pockets, severely undermining the quality and availability of public services. It is, therefore, encouraging to see so much enthusiasm and momentum around the global campaign for open public contracting. The William and Flora Hewlett Foundation has been proud to support the Open Contracting Partnership’s efforts to build and sustain momentum for open contracting. More action at the local level. Most people depend on their local governments for basic public services like water and sanitation or education. This campaign may fail some of the most disadvantaged citizens of the world if we do not pay attention to local government procurement and contracting. Exclusive focus on national level transactions could inadvertently displace resource leakage to the local government level instead, as public officials could exploit loopholes at that level to divert resources. Open contracting implementers and champions may want to explore whether, when, and how to effectively replicate open contracting principles and practices across all relevant levels of government. And, even if national level transactions are prioritized, think of ways to plug any loopholes that might facilitate resource leakage at the subnational level. Platforms, like the Open Government Partnership, which already have subnational pilots could be helpful. More effective struggle for civic space. Implementers should discuss how to best support and reinforce advocacy to increase civic space and promote free access to public information, especially in countries where governments have publicly committed to open contracting and do not yet have guaranteed access to public information. That’s a basic prerequisite for citizens and watchdog groups to be able to be able to hold governments and public contractors accountable for delivering important services. Decisions, not just data. The partnership’s continued commitment to producing data that meets the needs of users is commendable. This conference offers an excellent opportunity for members to think collectively and creatively about how to enhance data quality and deepen data use. I am excited to join learning and exchange session on data to address such questions as: how open contracting data is used, by whom, in what formats, and to what end? I can foresee the outcome of this conversation informing the partnership’s capacity building and technical support agenda going forward. Stand on the right platform. I’m encouraged by the Partnership’s efforts to build on and reinforce locally-developed procurement and contracting systems such as Prozorro in Ukraine and Budeshi in Nigeria. Local ownership is essential for sustainability and should be strongly encouraged and prioritized. But partner countries need not reinvent the wheel. Conference participants should explore the possibility of promoting regional platforms such as the one evolving in East and West Africa where the Budeshi platform, developed in Nigeria, is now being replicated in Kenya, Uganda, and Malawi. It is also important to explore ways to simplify the technology needed to access and use open contracting data. Simple technology tools would allow for greater citizen participation, especially in monitoring contract delivery at the community level. The campaign for greater openness and transparency in public contracting will undoubtedly complement the significant gains made in other spheres related to advancing transparency, accountability, and participation in government, such as budget advocacy. Led by the International Budget Partnership, the last two decades witnessed a rise in civil society advocacy to make public finance systems more transparent and accountable. These efforts have yielded significant benefits: in many countries, government budgets are more visible, and the budget process and decisions about public resource allocation are generally open to citizen participation. Despite this, veiled government contracts for services mean that public resources are still often diverted from their intended purpose. I hope that this meeting will further boost the enthusiasm and momentum of all key actors in the open contracting space. More importantly, that open contracting will become a useful vehicle for delivering quality basic services to ordinary citizens. What is countries’ readiness to open up public contracting?